Hi, I’m Pete Sweeney and welcome to my website! 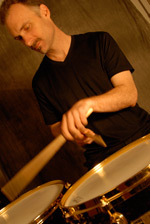 I am a drummer, author of 20 percussion books, drum teacher, and clinician. To follow my current activities, please join me on Facebook located on the right hand corner of this page. On this website you can find out some information about my books, as well as my cd entitled “Snare Drum Solos and Etudes”. I am a proud endorser of Mapex Drums, Sabian cymbals, Vic Firth drum sticks, and Aquarian drum heads. To view my endorser profile pages, please go to my links page. I teach private drum lessons at multiple locations in New York and Massachusetts. If you are interested in lessons, please contact me by email at petesweeney65@gmail.com. I love to teach all styles, ages, and levels of ability! I also teach at Bard College at Simon’s Rock in Great Barrington, MA, Union College in Schenectady, NY, and the Crown of the Continent Guitar Foundation in Big Fork Montana. Drummers Guide to Fills is designed to expand drumming vocabulary by teaching fills all drummers can use to add excitement to different sections of a song, or even use as the building blocks of a solo. Learning how to play fills is not enough; drummers need to know when and where to play them. This book offers a step-by-step approach to playing fills of varying lengths, as well as different approaches to resolving fills and returning to the groove. Learn fills in many styles, from rock to funk to jazz, plus a melodic approach to fills that allows further embellishment on basics. For those looking to move beyond the simple basics of groove playing, this book will get you there. A CD demonstrating the musical examples is included. Become a diverse and in-demand drummer by learning drumbeats in a wide variety of styles-from rock and jazz to reggae and Afro-Cuban, warm-ups and stick control exercises to improve your technique, reading exercises to prepare you for sight-reading at a gig, practical tips for improving your groove and timekeeping abilities, and much more! This enjoyable and challenging exercise routine will not only prepare you for the rigors of contemporary drumming, but it will sharpen your techniques as well. This versatile book includes warm-ups, sticking exercises, polyrhythms and more. Jam-packed with two complete 30-day exercise routines, the 30-Day Drum Workout will increase your coordination, stamina, finesse and sense of time. Sweeney, a faculty member at the National Guitar Workshop, has put together a straightforward and occasionally tricky instructional guide to the art of the fill. This will aid in building better hand-foot coordination and timing. This book gives you a step-by-step approach to playing fills of varying lengths, as well as different approaches to resolving fills and returning to the groove. You will learn fills in many styles-from funk to jazz-and also learn a melodic approach to fills that allows you to embellish on basic ideas. This book will expand your drumming vocabulary and help you move beyond simple groove playing. Drummers Guide to Fills will get you on the proper track as to how you think about fills , and Sweeney does a good job of eliminating much of the confusion that commonly surrounds this issue. "The ultimate quick fix to strong and clean playing." "This is an excellent book for the jobbing drummer- or anyone interested in becoming a versatile player and looking for gigs." 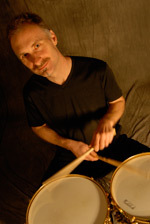 "Pete Sweeney's 30 Day Drum Workout is an enjoyable and challenging exercise routine that prepares you for the rigors of contemporary drumming and will sharpen your technique as well." "You know how you open a book and it just feels right? Sweeney tackles areas rarely dealt with: how to conduct rehearsals, etiquette on sitting in, injuries, freelancing, drumming part time vs. full time, and even performance anxiety. I'd recommend this book to all drummers."